Προ εξαετίας ο κιθαρίστας των Poverty’s No Crime, Marco Ahrens και η φωνή των Hades / Watchtower, Alan Tecchio επικοινώνησαν μέσω Facebook κι αποφάσισαν να ενώσουν τις δυνάμεις για την δημιουργία νέου μουσικού σχήματος. Το όνομα αυτού: Level Fields. Συνοδοιπόροι στο ταξίδι ο drummer Andreas "Theo" Tegeler (βλ. Poverty’s No Crime και Bleeding) και ο πρώην μπασίστας των Autumn Hour (μπάντα στην οποία συμμετέχει και ο Alan Tecchio), Clint Arent. Alan Tecchio: «I was a Facebook holdout for years before joining and I have to admit that without that social network, I would most likely not have come in contact with German guitarist Marco Ahrens from Poverty's No Crime. His brother Udo and I were FB friends and Marco had floated the idea to Udo of having me sing on a song Marco had written. Long story short, I told Udo I would be happy to check out the song and if I liked it I would definitely collaborate, writing lyrics, melodies and harmonies for it. The first song ended up becoming "Enough" and once I heard the tune, I was sold on Marco's talents. It reminded me of Monster Magnet, my old band Non Fiction and even some of the more esoteric and experimental Black Sabbath compositions. Heavy for sure but without limitations or fear of changing moods and vibes within one song. That song lead to another and at the time I am writing this, I have just begun work on our third song. Without any preconceptions or goals per se, we are planning to release each song, one at a time and see what the reaction is from the public. Regardless of their reaction though, we feel we are creating some very special music and even if it turns out we are the only ones who like what we are doing, that would still be enough to keep doing it. 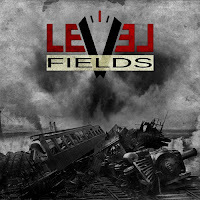 Δελτίο τύπου: «We are pleased to welcome LEVEL FIELDS to 'Pure Steel Records' for the release of their debut album - 1104. In 2015 these not-completely-unknown musicians released their first songs under this banner. Since then, interest in the band has grown beyond just the metal underground. 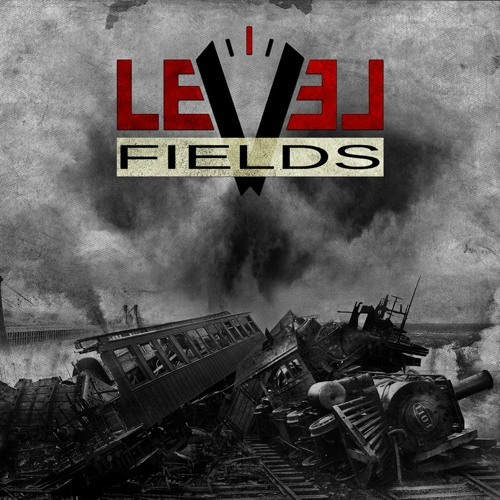 LEVEL FIELDS are one of the most hopeful new bands of recent years and the merger of a German-American friendship. On vocals we meet an old acquaintance from bands like AUTUMN HOUR, NON FICTION, WATCHTOWER, SEVEN WITCHES and HADES: Alan Tecchio. On bass another AUTUMN HOUR alumni: Clint Arent. The other musicians are also no strangers to the metal world: Both songwriter and guitarist Marco Ahrens and drummer Andreas "Theo" Tegeler play together in the band POVERTY'S NO CRIME. Tegeler also plays drums with LIFE ARTIST and label colleagues of BLEEDING. HEAVY METAL THUNDER 26 Ιανουαρίου 2019 - 3:33 μ.μ. Με μία ακρόαση ακούγεται πολύ ενδιαφέρον. BALADEUR 26 Ιανουαρίου 2019 - 5:25 μ.μ.